Presented here is the Lutrinian race! 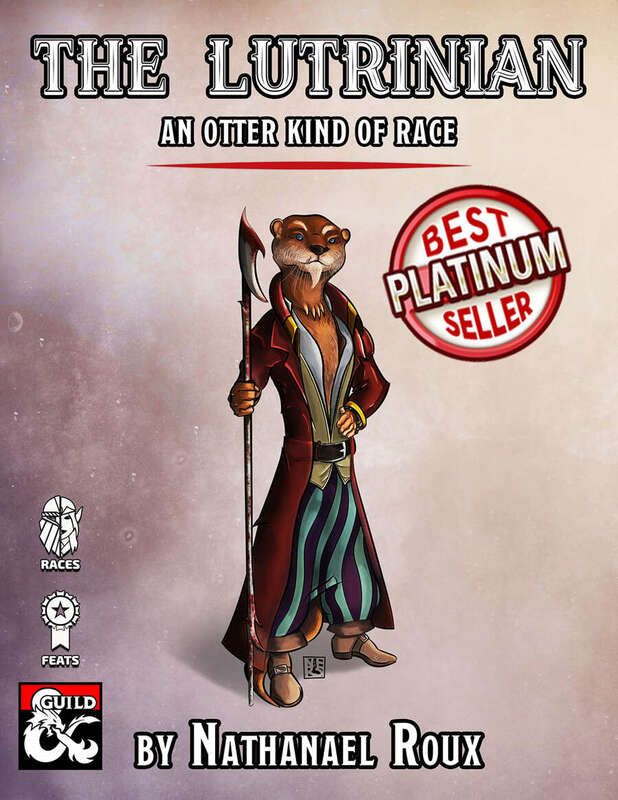 A race of playful tricksters, based on one the cutest of animals: the otters! With their 2 subraces and 2 exclusives feats, the river and sea lutrinian will be right at home in your Saltmarsh adventures! On their floating city ships or in recluse walled river cities, lutrinians are always working with water to make a better life for themselves. The smell of fish and the gentle lapping of the waves is their constant companion. Explorers and adventurers they’ve probably reached farther on the sea than any other race can claim to have. Made with my InDesign Templates! Pirate Otter stock art available here! Huge thank you to Benjamin Huffman and Ross Leiser for their feedback, advices and support when creating the race.